Order your Levys M8POLY 2 Inch Guitar Strap from AMS and enjoy Fast & Free Shipping. Get the Best Deal with our Lowest Price Guarantee & Great Customer Service! 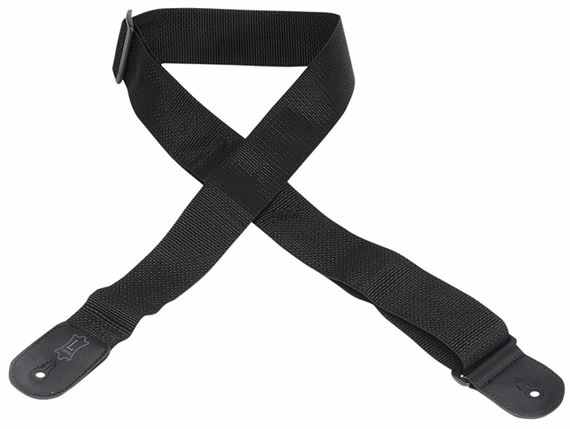 Levy's basic polypropylene guitar straps use the highest quality polypropylene webbing. The Levy’s M8POLY Guitar Strap is 2 inches wide with polyester ends. The M8POLY has tri-glide adjustments and is adjustable to 54 inches. The pin holes are reinforced to provide strength and durability. This strap is suitable for all electric and acoustic guitars and with the lace tie it can be used for mandolins as well. Weighs approximate 1/4 lb. Good and sturdy guitar strap. Well worth the price.